Some of the people served by Imagine! are helping to test task prompting systems that may assist individuals with developmental disabilities in gaining and keeping meaningful employment. Imagine! has teamed with Assistive Technology Partners (AT Partners) to test an innovative project funded by the National Institute for Disability and Rehabilitation Research as part of the Rehabilitation Engineering Research Center (RERC) Workplace Accommodations Grant. This project is exploring the use of task prompting systems that could aid an individual with a disability in successfully performing assembly line tasks. Task prompting is similar to creating a check list to make sure the proper steps are being performed in the correct order for a given task. The job that was chosen involves packaging Chocolate First Aid Kits. The first aid kits contain chocolate bars and bottles of chocolate candy. The kits are sold in gift shops throughout the United States. It makes me proud to be associated with such a forward looking project. In the video below, Michael Melonis from AT Partners and Dr. Alex Mihailidis from the University of Toronto explain the project in further detail. Imagine!’s CORE/Labor Source department has been nominated for a Colorado Developmental Disabilities Council (CDDC) Dan B. Davidson “Excellence in Inclusion” Award! The award ceremony will take place July 25 in Denver. The Awards honor Dan B. Davidson, who died in 1996 at the age of 41. Defying the odds, Davidson had followed his dream of living independently in the community. CDDC celebrates Dan's spirit and memory by recognizing individuals, agencies, and organizations that exemplify visionary practices regarding inclusion in the categories of education, employment, and community. Congrats, CORE/Labor Source, and good luck! Also, Imagine!’s Bob and Judy Charles SmartHome in Boulder is a finalist in the Colorado Green Building Guild (CGBG) and the Boulder County Business Report (BCBR) Best of Boulder Valley Green Buildings awards. The SmartHome is a finalist in the Best Green Multi-Residential Building category. What a great recognition of the efforts we put into making the home environmentally friendly and to meeting our commitment to our community! Congratulations and many thanks to Imagine! employees for raising $10,492 to help support Imagine! 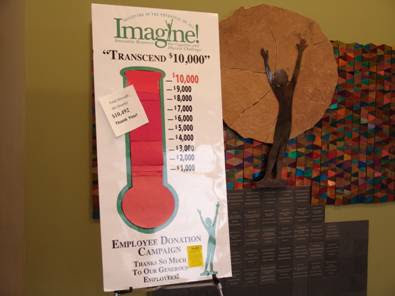 consumers and for reaching the “Transcend $10,000” (Imagine!’s employee donation campaign) goal! This year’s total is 75% more than what employees contributed last fiscal year. The gifts include payroll deductions, donations through Colorado Gives Day and the Imagine! Celebration, and individual checks and credit card payments. The generosity and dedication of Imagine! employees to those we serve knows no bounds, and I am honored to work beside them. The 4th of July celebrations allowed me time to contemplate some issues and strategies that qualify as uncommon, the road less traveled, or sometimes, the path of least resistance. Over time, our human condition has improved by extraordinary effort to do the uncommon. Take, for example, the improvements in our human condition by introducing water management; creating reservoirs and diverting water from its natural course and creating irrigation canals. I am sure there was, and is, a great deal of debate whenever we take a natural resource and alter the course outlined by Mother Nature. Picture a boardroom debate beginning with a leader making a statement which is likely followed by several agreements (the path of least resistance). It is much easier to be following in agreement and be wrong than it is to present a contrary opinion after so many have acquiesced (the road less traveled) and be right. Our world of intellectual and developmental disabilities has similar opportunities for debate. Our efforts are intended to improve the human condition. I wonder if we are brave enough to do the uncommon. 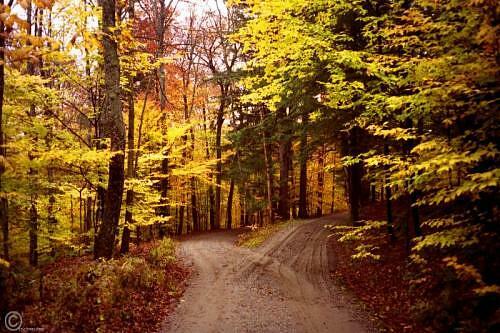 Do we have enough people in the debate willing to take the road less traveled rather than the path of least resistance? Are we followers comfortable agreeing with the majority, even if the majority does not improve the human condition? Or are we willing to stand up and be the person with a fresh opinion that offers an opportunity to improve the human condition? The road less traveled often brings its own natural rewards with unique scenery and encounters with nature. When attempting to better the human condition, the rewards of the road less traveled are not always so immediate, but the journey is perhaps even more meaningful.